A contemporary feature to arrive as part of this season's Lois Collection this Dark Sand iteration of the best selling French Works Jacket hits the spot with a soft on the touch babycord construction. 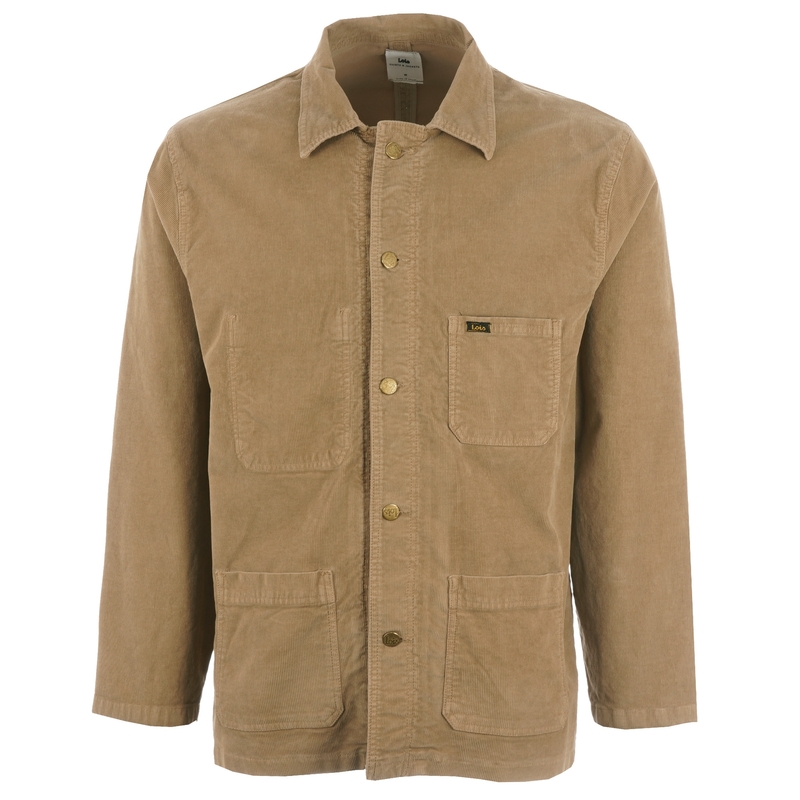 Taking the form of a classic workers jacket, cut to a regular fit, the piece deploys signature branded buttons to it's closure whilst featuring a welt pocket to the chest with Lois Branding and two larger welt pockets to the lower front. Detailed with an internal pocket at the chest for good measure, elasticated cuffs and hem allow for a comforting finish. Great for year-round wear as a statement piece to have have in your smart casual wear try teaming with a pair of jeans or chinos for an understated finish over the course of the coming months.